Are you interested in studying, doing research or teaching in Torino? Giorgio Audrito has been selected to participate in the 7th Heidelberg Laureate Forum (September 22-27, 2019). We have a new project: I am responsible for the Ateneo/CSP project on Aggregate Programming (2019/03/01 - 2021/02/28). 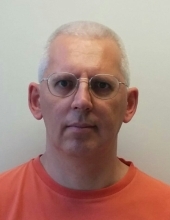 Giorgio Audrito got the Ateneo/CSP grant ( "bando per l'internazionalizzazione della ricerca 2018" ) for Cooperation with the University of Iowa on Aggregate Programming (2019/04/01 - 2020/03/31). We have a new project: HPC4IA (Regione Piemonte, INFRA_P): Turin’s centre in High-Performance Computing for Artificial Intelligence (2018-04-01, 24 months). Our paper Optimally-Self-Healing Distributed Gradient Structures through Bounded Information Speed was selected as Best Paper of COORDINATION 2017 (photo). Our paper A Formal Model of Multi SPLs got the Best Paper Award at FSEN 2017 (photo). Our paper Self-Adaptation to Device Distribution Changes got the SASO 2016 Best Paper Award. We have a new project: EC-COST Action CA15123 (2016/02/21 - 2020/03/20) EUTypes: The European research network on types for programming and verification (see also the page at the COST site). We have a new project: I am responsible for the Ateneo/CSP Project RunVar: Evolving Distributed Software Systems at Runtime by Scalable Hybrid Variability (2015/07/01 - 2017/12/31). HyVar is now part of the Software Engineering for Services and Applications Cluster of European Projects on Cloud. We have a new project: I am local responsible for the EC H2020 RIA project HyVar: Scalable Hybrid Variability for Distributed Evolving Software Systems (2015/02/01 - 2018/01/31). See also the page at the CORDIS site. We have a new project: I am MC Member of EC-COST Action IC1402 (2014/12/17 - 2018/12/16) ARVI: Runtime Verification beyond Monitoring (see also the page at the COST site). Our COORDINATION 2014 paper got the IFIP sponsored DisCoTec 2014 Best Paper Award. We have a new project: I am local responsible for the POR FESR 2007/2013 project PIE_VERDE: Piattaforma Ibridi Elettrici. Veicoli E Reti di Distribuzione Ecosostenibili on platforms for green supply chains (2013 - 2015). We have a new project: Ateneo/CSP Project SALT: Self-adaptive, Autonomic, Light Types. We have a new project: MIUR PRIN 2010-2011 CINA: Compositionality, Interaction, Negotiation, Autonomicity for the future ICT society (2013 - 2016). Our GPCE 2012 paper got the EAPLS GPCE/SLE 2012 Best Paper Award. We have a new project: EC-COST Action IC1201 (2012 - 2016) BETTY: Behavioural Types for Reliable Large-Scale Software Systems (see also the page at the COST site).